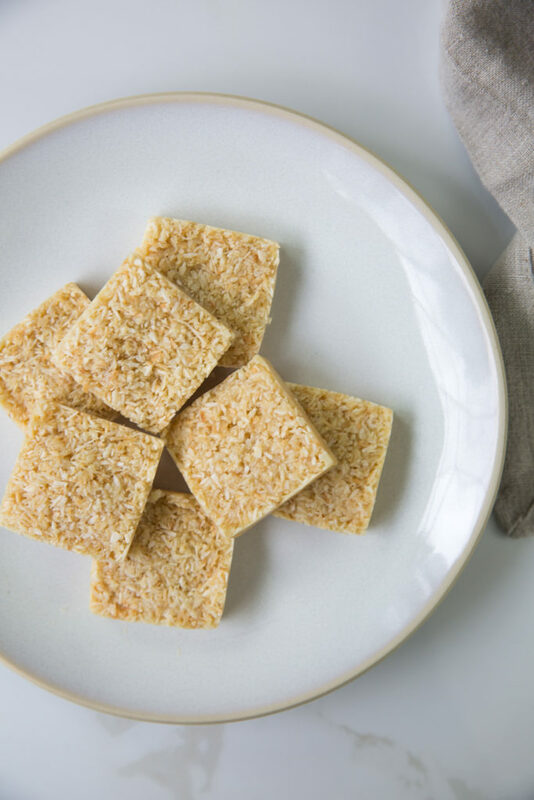 Slightly sweet and insanely easy to make, these vanilla toasted coconut fat bombs are the perfect portable fat bomb! 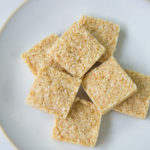 They’re made in minutes and you can speed up the hardening time by popping them in the fridge or freezer. “Wait, so you’re telling me.. 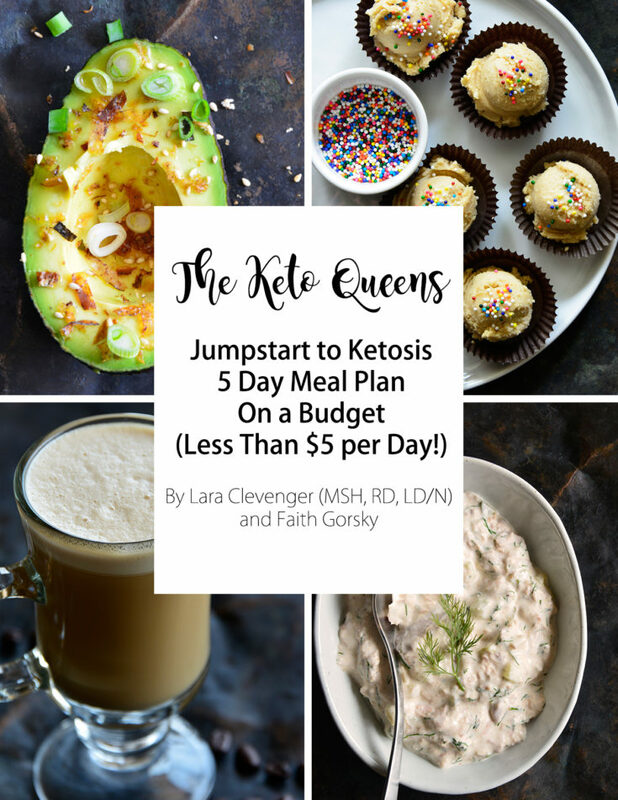 I can eat delicious tropical flavored food AND stay in ketosis? ?” Yes. Yes, that is what we’re telling you. We’ve brought you fat bombs before. But now they’re better than ever! Toasted. Coconut. Fat Bombs. Just writing this made my mouth water. 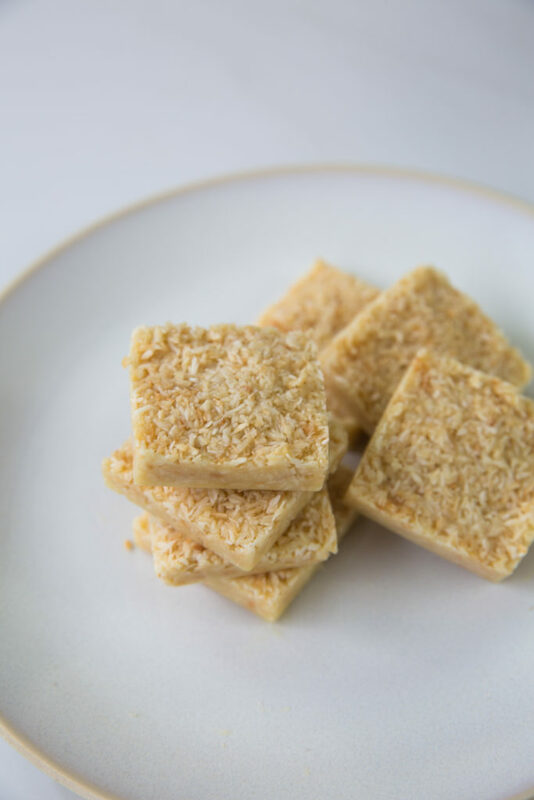 Get your healthy fats in and keep yourself in ketosis all while indulging in a sweet bite of vanilla coconutty goodness. Plus, did we mention that these are totally shelf stable?! Yep! None of the ingredients require refrigeration. So after these bad boys are made they can be stored in your pantry OR fridge. It’s entirely up to you which option you prefer. 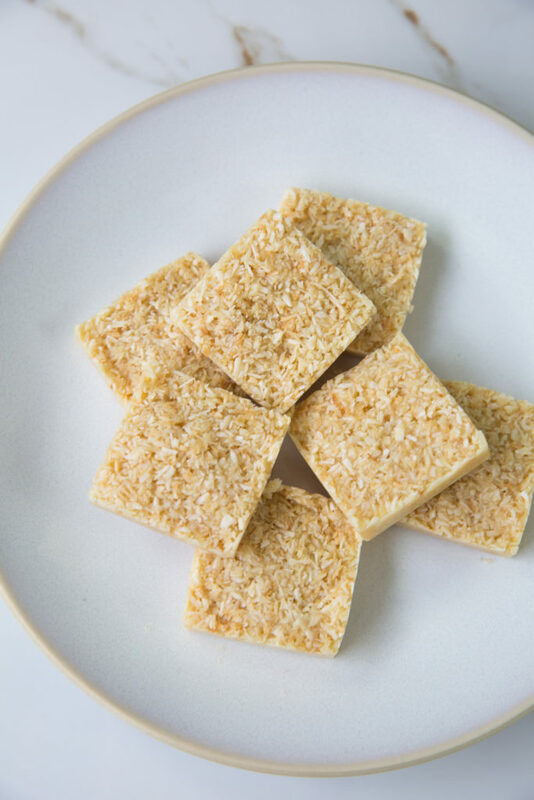 Coconut flakes can be toasted in the oven, on the stovetop, and even in the microwave! 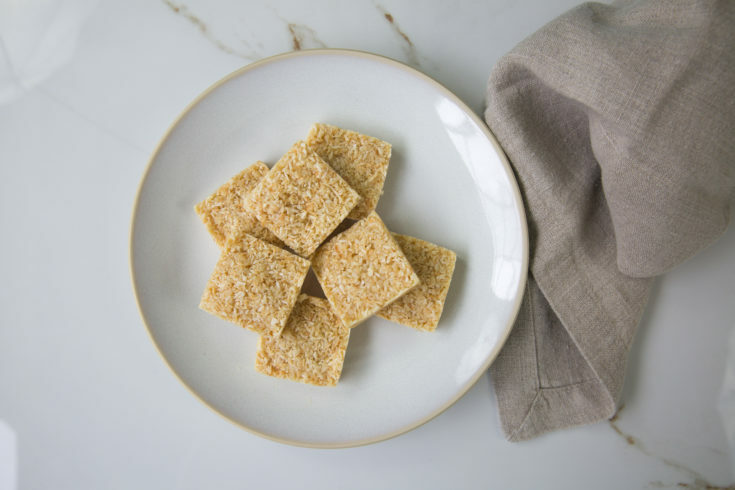 We prefer the stovetop method simply because it allows you to keep an eye on your coconut flakes and stir them to be sure they are evenly toasted. Just place the coconut flakes in a skillet over medium heat and stir frequently until your coconut is a gorgeous golden brown all around. Loosely speaking, a coconut could be considered a fruit, nut, and a seed. Coconuts are the reproductive part of the plant, which makes them a seed. They are also a fruit being that they are known as a one-seeded drupe. Finally, coconuts are a nut as the definition loosely describes nuts as a one-seeded fruit. What are the benefits of eating coconut? There are loads of benefits of eating coconut. Eating coconut may help with weight loss, boost your immune system, reduce your risk of diabetes and heart disease, and contains lots of minerals that are essential to our diet. Is coconut bad for losing weight? Just the opposite, in fact. The meat of a coconut has a lot of fiber and medium-chain fatty acids that can help you lose weight. Both of these nutrients help to keep you full for longer periods of time, which can help prevent snacking on empty calorie foods. Additionally, medium-chain fatty acids are more readily used for energy in our bodies rather than stored as body fat. Coconuts are a great source of fat! The meat of the coconut has some carbs and a small amount of protein. Is coconut a carb or protein? Actually, coconut is primarily considered to be a fat. Coconuts contain very little protein and just a few carbs. So for all of you on keto, coconuts are a good friend of yours! Is coconut healthy to eat? You bet! Coconuts are full of healthy fats called medium chain triglycerides or MCT’s. Our bodies prefer to use these MCT’s for energy instead of storing them as fat. Even more specifically, the types of fats found in raw coconuts contain antiviral, antibacterial, and antiprotozoal properties to boost immunity. Coconuts are also full of fiber which is good for regulating blood pressure and insulin secretion, as well as keeping your gut healthy. What are medium chain triglycerides? Coconuts contain healthy saturated fats in the form of medium chain triglycerides (MCT’s). These MCT’s are more easily digested in the body than long or short chain triglycerides, and are more readily used as energy rather than stored as body fat. Just beware! Avoid having too much coconut or coconut products at one time, as the MCT’s in excess may cause an upset stomach…and you’ll probably be spending some quality time in your bathroom. So take it easy initially and slowly introduce coconut or MCT’s if this is something new in your diet! Other fat bomb recipes you may enjoy! Other Keto Recipe Videos You May Enjoy! 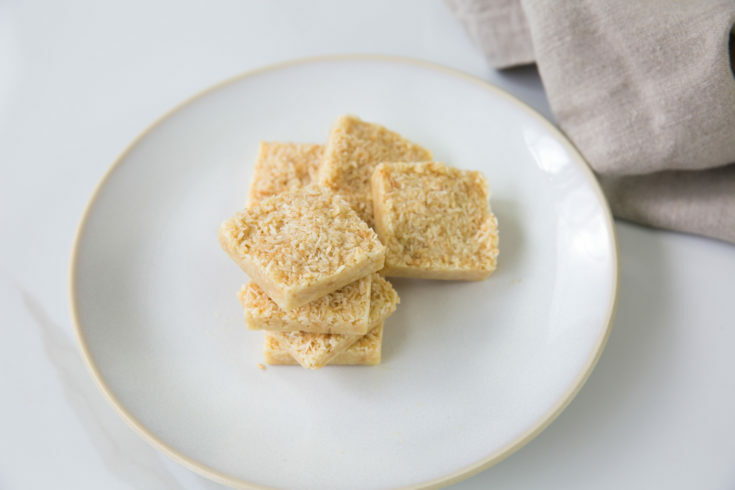 Toasted Coconut Vanilla Fat Bombs. 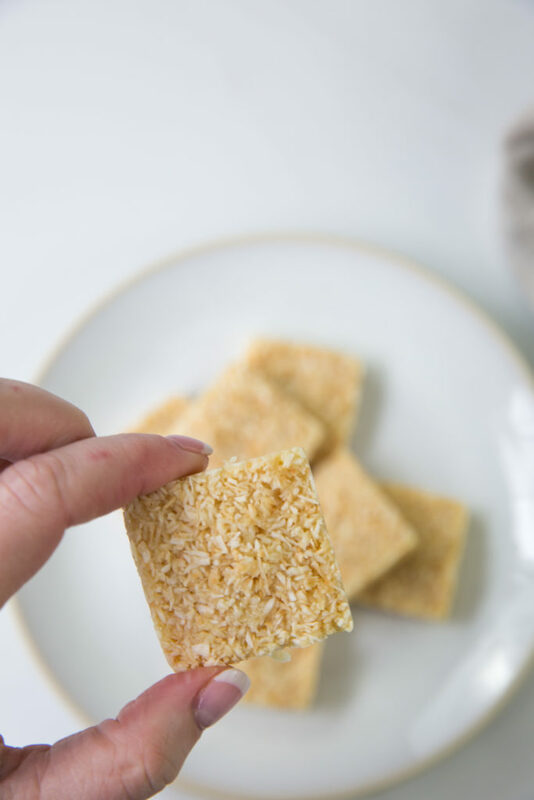 Slightly sweet and insanely easy to make, these vanilla toasted coconut fat bombs are the perfect portable fat bomb! They're made in minutes and you can speed up the hardening time by popping them in the fridge or freezer. Stir together all ingredients in a medium bowl until well combined. Spoon the mixture into 12 fat bomb molds. Refrigerate until chilled, about 10 minutes in the freezer or 30 minutes in the fridge. Unlike most fat bombs, because this recipe uses cacao butter as the base, these will soften but not fully melt at room temperature.